NYC, 05/18/2019, 1:00PM. Dance Parade New York. A Movement of the People is poignant recognition of the vital role dance serves for health and culture. In our 13th year, we continue to advocate for a stronger dance community by including everyone: All cultures, foreign and domestic, All ages, young to the eldery, All rhythms and styles, ballet to breakdance. In these times when our immigrant communities are vulnerable and in need our support, our non-profit organization places artists in schools and community centers. 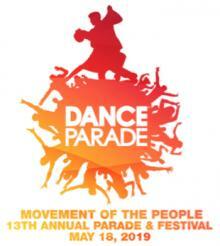 Celebrate diversity by coming together in the city's largest dance event to showcase over 80 unique styles of dance.